Apart from being one of my most favourite foods, I love the fact that chocolate has now been recategorised: upgraded to a throughly ‘healthy’ food and no longer an illicit, guilty pleasure. Add it to your collection of daily supplements - along with zinc, magnesium and all the rest of those nutritional necessities, secure in the knowledge that, in measured quantities, it boosts your wellbeing. I have just been to a chocolate plantation to make sure my facts are correct. Chocolate is indisputably a mood booster. Feeling depressed? Stressed and anxious? Unable to resist reaching for that comforting chocolate bar? What’s in a chocolate bar? Chocolate contains a collection of natural brain stimulating chemicals and compounds that make you feel almost instantly much better. Theobromine: a mild stimulant that lifts your mood. Tryptophan: which helps your brain make serotonin, the ‘happy’ neurotransmitter that regulates anxiety and mood. Caffeine: which stimulates your central nervous system. Anandamide: which is a ‘messenger molecule’ associated with cannabis-like natural highs. Phenylethylamine: the ‘love chemical’ which stimulates feelings of excitement and attraction. Flavonoids: these are powerful anti-oxidant phyto-nutrients which help protect your heart, lowering your blood pressure, strengthening your immune system and balancing inflammation levels. Within an hour or so these compounds are absorbed into your blood stream, reducing cortisol, boosting endorphins and raising serotonin levels and giving you a natural high. But there is a darker side to chocolate, so consider carefully what you buy and where and whom you buy it from. Not all companies, or countries, for that matter, have a clean slate. Where does your chocolate come from? Did you know that approximately 70% of chocolate now comes from Africa? From Nigeria, Ghana and the Ivory Coast. Chocolate only arrived in Africa in 1879, and what has got it to the top of the chocolate producing league? Not quality, but quantity. And what is that quantity based on? Child labour. You may already be making a stand for ethical production of clothes. We’ve all seen those photographs of children slaving in the clothes factories of Bangladesh, Pakistan and Cambodia and refused to buy the products of the companies who fund them. But have you ever thought about chocolate? Why does that tiny bar of organic, artisan chocolate cost so much compared to its much larger Cadbury’s or Hershey’s competitor? That’s because most of the organic chocolate companies are Fairtrade, paying a fair wage and employing the local adult population. In Africa, however, there is something much darker going on. Child trafficking and slavery for the cocoa plantations. In the Ivory Coast in particular, substantial evidence documents the buying of children from Mali and surrounding countries for cheap labour. 42% of the worlds cocoa production has now moved to the Ivory Coast, because the chocolate is cheaper. And why is that? A 10-year-old child can be bought for as little as 230€ - and that includes smuggling them across the border and indefinite free labour. And that’s before haggling their price! Plantations use children as young as 7 to work collecting the cocoa pods and their costs, and sale prices, reduce accordingly. And who buys from these plantations? Almost all of the supermarket/petrol station chocolate companies. And we, in our turn, all buy from them. The big household names choose cheap, so they can pay healthy dividends to their shareholders who know nothing of the story behind their profits. Watch ‘The Dark Side of Chocolate’ video on YouTube and you will see another, deeply disturbing, side of chocolate. Organic or not - what's the difference? Raw organic cacao beans are full of magnesium, oil and all the natural compounds listed above. They are grown without pesticides and fertilizers. Not so those on more large scale plantations. One of the by-products of organic chocolate production is the oil, the cocoa butter, that is squeezed out of the bean during production. This is a super anti-oxidant, used by the cosmetics industry for their more expensive beauty ranges. As an essential oil, it relaxes both body and mind and relieves stress and depression. The larger plantations, and the mass market chocolate sellers, take the nutrient rich cocoa butter and sell it where the profit is best. But chocolate bars need oil to give them the consistency we all love and so a substitute must be found. Cheap palm oil is their answer, from the vast palm oil plantations that are devastating the landscape of Indonesia and Malaysia. Palm oil is 100% fat, 44% of which is saturated fat. And although it does have compounds that may protect your brain and boost your Vitamin A levels, it also contains palmitic acid which increases your risk of weight gain and obesity. So, just to be clear, supermarket or petrol station chocolate is not your healthy dietary supplement. Milk chocolate bars are nearly 50% sugar, giving you a ‘sugar spike’ a quick burst of uplifting energy, then crashing your glucose levels leaving you exhausted. Those bars will not benefit your body, or your mind. But the dark chocolate organic artisan bars - in moderation - definitely will. Globally, we consume three million tons of chocolate each year, and half of that is in Europe. That’s a vast quantity of cocoa pods. In each cacao pod there are approximately 26-40 beans. It takes 2 pods and around 70 beans to make an organic 85% chocolate artisan bar of chocolate. In a supermarket bar, however, there are less than 4 beans. A bigger, heavier bar - but it’s not cacao beans that are making up the weight, but cheaper ingredients, sugar, milk powder, vanilla and fats. You get around 100 organic bars from a single tree; thousands if you go a more commercial route. Do the maths, but then consider carefully what you want your chocolate budget to fund. The power ultimately lies in the money - and where you spend it. That decision is entirely yours. But the bucket list bit - why you really, really have to experience it one time before you die - is the smell. The delicious, sensuous, rich chocolate smell that overpowers your senses, permeating every cell of your being - literally. It was just as I would imagine Charlie (and remember his name was Bucket too, so there is clearly a message and a connection here) felt when he stepped into the magic of Willy Wonka’s chocolate factory for the first time. It wasn’t the extraordinary chocolate lakes and rivers, flowers and trees he could see in front of him, or the taste of the different remarkable products that overwhelmed him but the fabulousness of the smell of fresh chocolate in the air that sank into his soul. And from a health perspective too, a chocolate massage is an excellent thing. It releases a torrent of beta endorphins, neurotransmitters that are stronger in their effects than morphine. They block your pain receptors, flooding you with a sensation of pure happiness, and on top of all that, give you a smooth, relaxed and rejuvenated skin. Add chocolate massage to your list - you really won’t regret it. 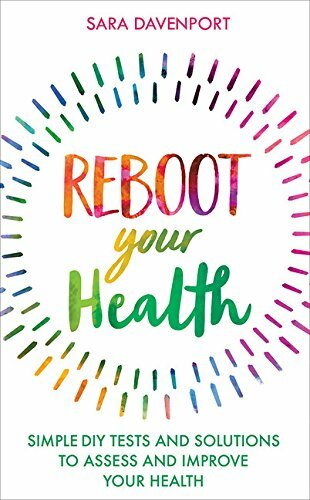 Order Reboot Your Health now! 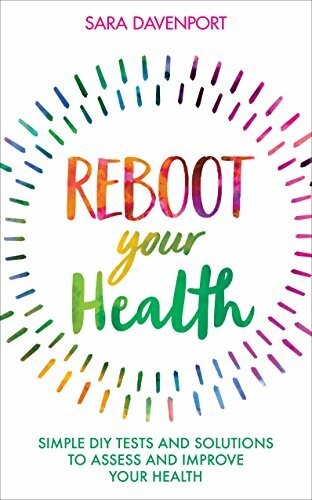 My book - Reboot Your Health - is available now. Make this year the year you ‘Reboot Your Health’. You have only got one body. If you don’t take care of it, who else is going to? Written by health advocate Sara Davenport, founder of one of the UK's leading breast cancer charities, Breast Cancer Haven. With over twenty years' experience in holistic health, Sara's digital dose of wellness teaches you to listen to your body, tweak your lifestyle and improve your health. Sign up to our free newsletter for fortnightly holistic health tips and a regular dose of get-well advice. SUBSCRIBE NOW!